12000+ Stats with ring of sudden ..... ? So is it true that if if equip 3x rings of sudden power/crit/defense on a companion with bonding stones - you get that stat on your character. 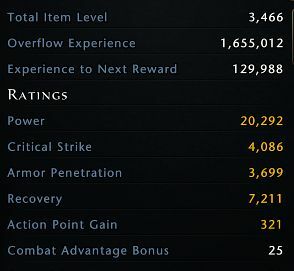 For the little testing that i did - ring of sudden defense on my warlock gives me 7000 defense with my cheap bondings, guessing that a pet with r12 bondings and 2-3 rings gives like 30000+ stats -- is this working as intended ? The demonic rings were not working on companions earlier, were they? I am sure that someone asked a few months back and now I am pretty surprised. Its not worth it. I tested it and I have mentioned it just as a curiosity in my guide but basically, in any fight where those stats actually matter (fights that last longer than 10 seconds) The bonding stones get out of sync with the rings and on average you get less stats over all than you would with avenger gear. Yes, on trash you will have better stats, but the only thing that actually does is boost your epeen numbers on paingiver and not your actual performance over all. I do not use them and I do not recommend using them as a result. I am sticking to the avangers as well (need arm.pen.) and i agree with you that in a serious battle those seem to be unoptimal still such bursts are imo not wai - it was already stated that rising rings (or underdark not sure about formulation) should not work on companions so i find it amusing that they can net 12k stats. If a companion is giving more stats than all the player's gear it feels wrong. Just do the following: Go to your SH, to your dummy. 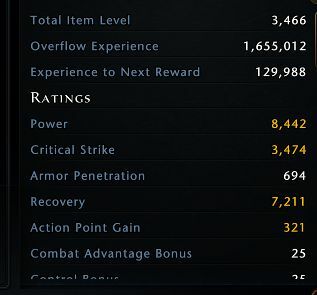 Slot that 4k sudden-crit ring, start attacking. Monitor your critstat, constantly attacking the dummy for 5 minutes. 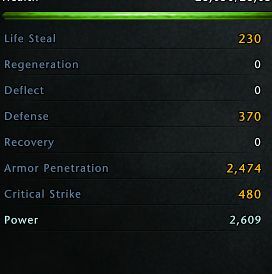 Unslot the ring and take that avanger ring (power/arp/crit). Watch your stats, compare the dps in the end, decide wich way to go. IN case your critchance is near 100% it is not that benefitial, in case your critchance is near 50-60% it will definitely give you a silly boost to critstat... also during a long lasting fight! Somone who abuses every broken gear/feat/buff ingame having a maxed companions with 3 x r12 bondings, stacking them 6 times is doing so for one only reason...epeen , right.